At White Rhino we have a range of amazing packages to suit all occasions and budgets! Contact our events team below for more information! 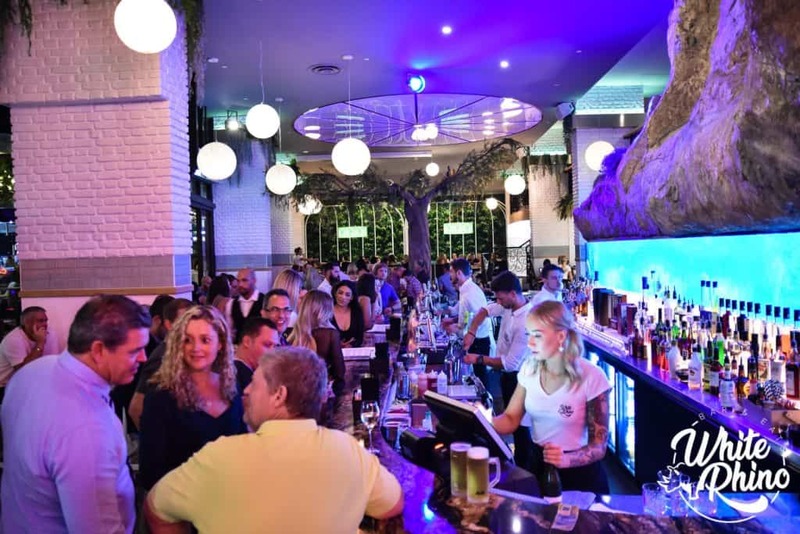 White Rhino Bar & Eats is like nothing the Gold Coast has seen before! 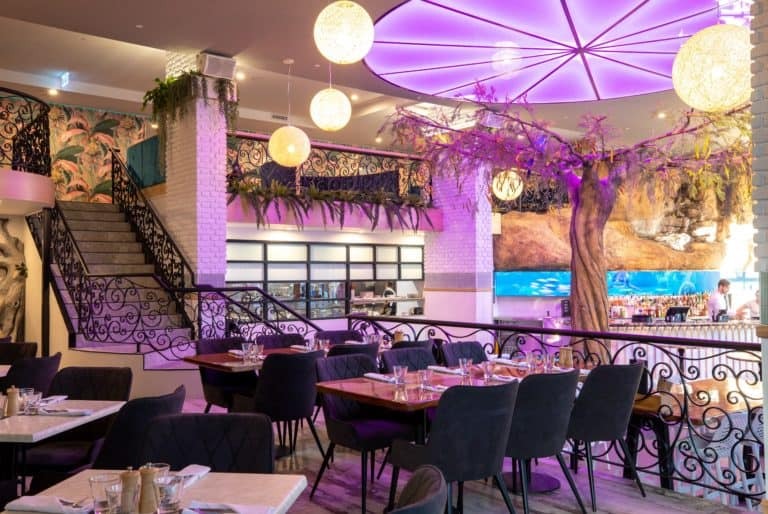 A refreshing, vibrant venue in the heart of Surfers Paradise that is quickly becoming the new favourite amongst locals, visitors, bloggers and Insta-famous socialites! Your own private section overlooking the entire venue! Wow your guests in this exclusive space which also includes your own private bar, high tables, a luxurious booth and a private bathroom. A few steps up from the bar and you’ve found yourself in our magnificent Birdcage! 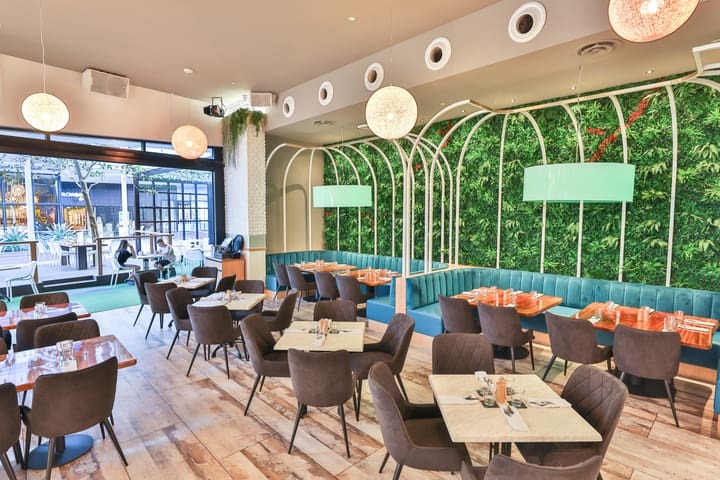 A beautiful backdrop of greenery, birdcage booth seating along with high tables and low tables. This area is perfect for those larger functions that still want to be where the party is, but still have their own level of privacy! You’ll also have the additional bonus of using our huge drop down projector screen should you wish to show any images! White Rhino’s outside deck is the ideal location if you’re looking for an outdoor option! 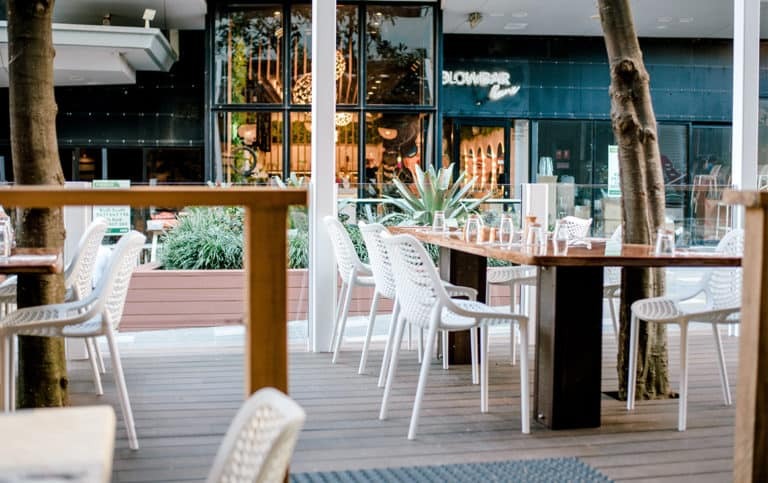 Located at the entrance with tables wrapped around the trees and easy access to the bar – your guests will love the beautiful atmosphere the deck provides! 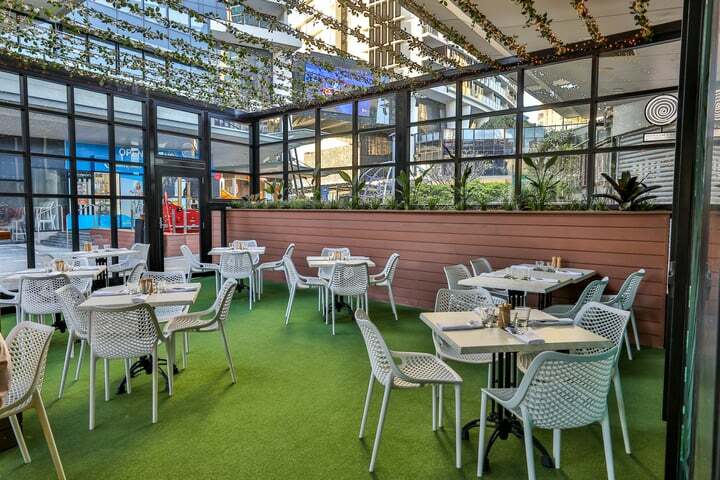 Situated outside on lush green astroturf and under beautiful fairy lights, our Greenhouse is the perfect location for an open-air cocktail or banquet style of event! 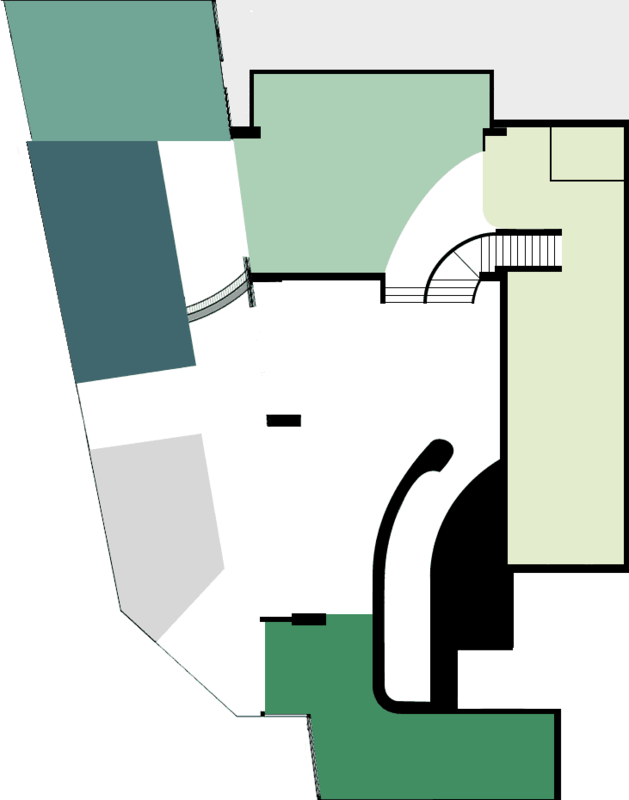 Prefer to keep your party downstairs in the main part of the venue? 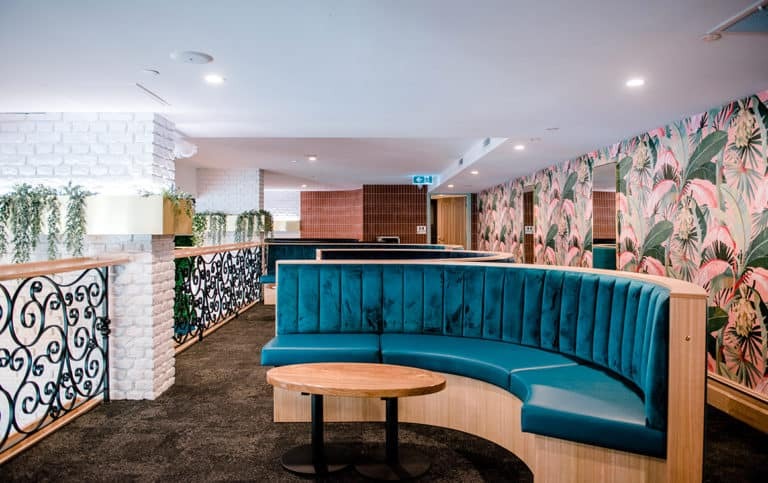 Our Rhino Bar is a great option with direct access to the bar, high benches and tables with stool seating and plenty of space for standing along with a beautiful wall of greenery! Have a larger event coming up that requires a space to cater for up to 600 guests plus totally wowing all of them!? White Rhino is exactly what you’re looking for! You can hire the entire venue to impress your guests and make sure you have an event that will be talked about for the years to come! 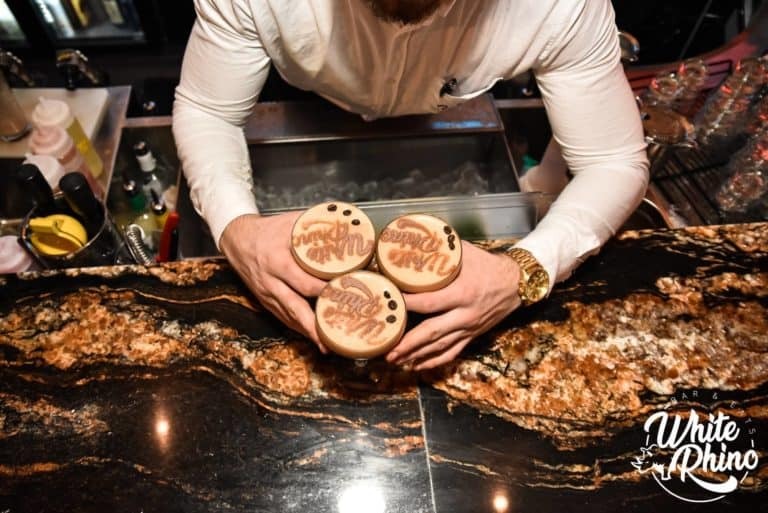 With exclusive use of our main bar, Mezzanine, The Birdcage, The Greenhouse and Outside Deck – Our large open area offers you ultimate flexibility and is ideal for hosting your wedding reception, birthday party, corporate event and anything else in between!